Milk…check; Eggs…check; Bread…check; Car insurance…wait, what? Most Americans’ grocery lists don’t typically read this way, but a new approach to selling personal auto insurance from Nashville-based, Direct Auto Insurance Co., could change the way consumers buy their coverage. The company, which writes business in 13 states in the Southeast and targets underserved communities that typically are without bank accounts, has created insurance kiosks called “Direct on the Spot” (DOTS) that it describes as an “insurance store in a box.” The kiosks give people the ability to quote, bind and print a personal car insurance policy in less than five minutes. Basic, low-limit life insurance policies, roadside assistance plans, or emergency protection plans are also available. “This is an extension of the network we already have. Being local is very important to us and our customer base, and the kiosk helps us expand that,” he says. Coverage terms are six months and policies and can include all of Direct Auto’s typical insurance offerings, including: bodily injury liability, property damage liability, collision auto coverage, comprehensive auto coverage, medical payments, personal injury, uninsured motorist auto coverage, rental reimbursement, towing and accidental death coverage. Jack Campbell, chief operations officer for Direct Auto Insurance, says the company was inspired by the increasing trend of consumers using online and quick pay retail services as well as the kiosk technology that hadn’t yet been applied to insurance. But building an insurance kiosk was not an easy undertaking, says DiGiacomo. The company had to find a kiosk provider, address payment handling, and implement the correct data exchanges, just to start. Direct Auto also had to reengineer some of its pricing algorithms to make them work for a kiosk. The insurance questions had to be simplified and personal information prefilled if a person decides to buy a policy so the process moves quickly and efficiently. The company also took steps to ensure that a user’s privacy is protected. No personal information is stored in the kiosk; personal information does not appear on the screen as it is typed in; and privacy wings are on either side so bystanders cannot see personal details. 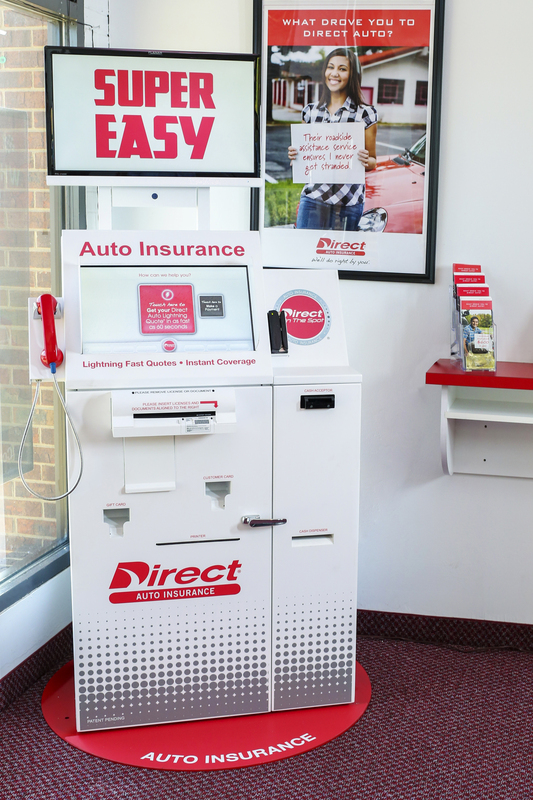 Direct Auto has deployed 18 kiosks to its local insurance stores in Tennessee to test them and work out any issues. So far, customers have been responding well, says Campbell. Early next year, the company plans to move at least 16 of these kiosks into retailers that it has partnered with, including grocery stores, car dealerships, as well as malls and title loan companies. Campbell says the company has been pleasantly surprised at how easy it has been so far to sign up partners. DiGiacomo says they are strategically targeting certain geographic locations and national chain stores where they think there is a potential customer base for both Direct Auto and the retailer. “The kiosks will also bring customers in to their stores because they can come in to make payments every month, and the stores like the foot traffic,” he says. 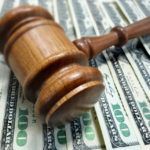 Incentives, like a gift card for the store where the kiosk is located, will be offered in states where it is allowed to those who quote their insurance, which is a benefit to the retailer as well. Josh Jarret, vice president of product management for Direct Auto, says the company plans to use the kiosks to eventually expand beyond the 13 states it is currently in. He sees them working as a tool to help the company get its name out there. “They are an extension of marketing… as people see these it will create a new DNA for us,” he says. DiGiacomo says they expect the kiosk-type model will become more popular in the auto insurance world. This is nothing new. This was attempted in 2002 using VCOM machines located at 7-11. It took "years" to duplicate what someone did in 2002?